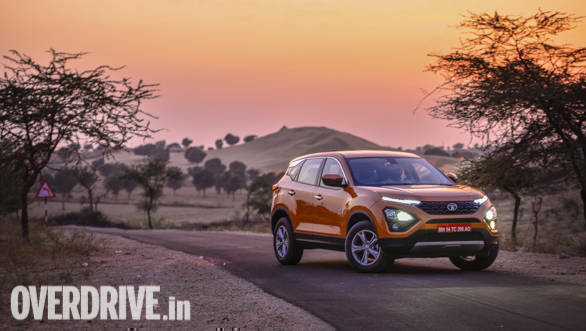 Tata Motors has luanched it flagship Tata Harrier SUV in India at a starting price of Rs 12.69 lakh (ex-showroom). We already knew of the SUV's Land-Rover derived architecture and its Fiat-sourced 2.0-litre Kryotec diesel engine but the exact specifications and features have been revealed recently. This puts it in contention with cars like the Hyundai Creta, the Mahindra XUV500, the Jeep Compass and the Renault Captur. This is how they stack up on paper. To simplify the comparison, only the top-spec diesel variants of each car is being focussed on. 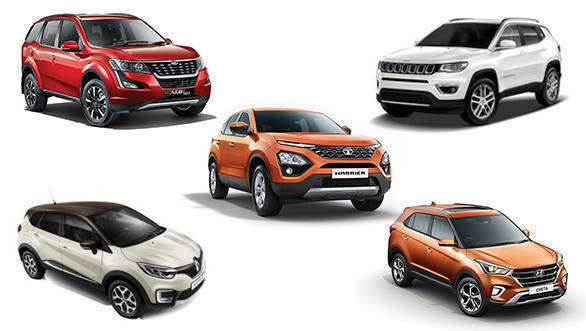 These being the Tata Harrier XZ, the Jeep Compass Limited Plus, the Hyundai Creta SX(O), the Mahindra XUV500 W11(O) and the Renault Captur Platine. All the cars use a four-cylinder turbocharged diesel engine option of varying capacities. The Compass' 2.0-litre Multijet II motor is the most powerful, putting out 173PS and 350Nm. 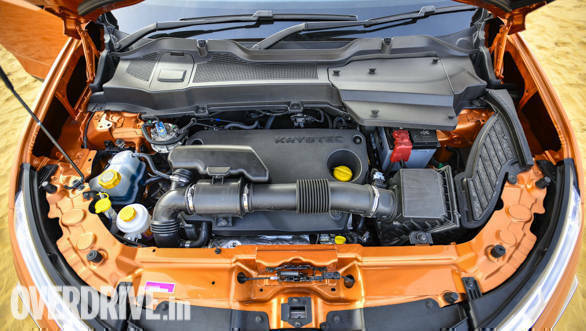 The Harrier's 2.0-litre Kryotec motor is closely related to this engine but has been detuned to produce 140PS but has a similar torque output of 350Nm. 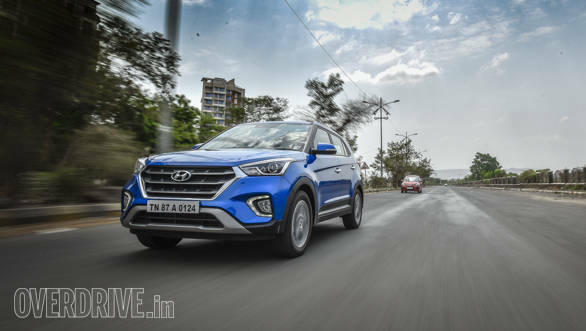 The Hyundai Creta gets a smaller 1.6-litre motor which outputs 126PS and 260Nm. The XUV500 gets the biggest 2.2-litre mHawk engine with 157PS and 320Nm. The Captur has the smallest, and unsurprisingly, the least powerful 110PS/ 240Nm 1.5-litre K9K diesel motor. A six-speed manual gearbox is available on all the SUVs in this comparison. 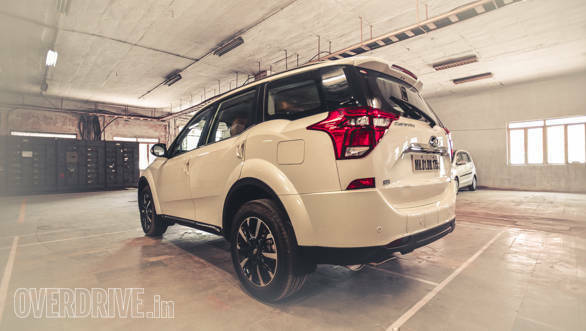 The XUV500 can also be had with a six-speed torque converter automatic. All-wheel drive is available only in the Jeep Compass and as an optional extra on the XUV500. 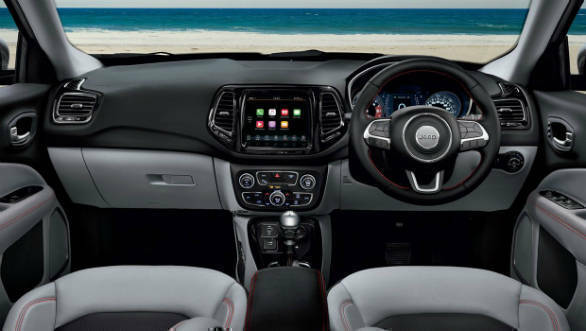 The Compass adheres to its Jeep lineage further via a terrain selector, a function also available on the Harrier. The Harrier also gets the various drive modes. The Harrier is the largest car here, given its 4,598mm length, 1,894mm width, 1,706mm height. It is also the roomiest on the inside with its largest 2,741mm wheelbase. The Creta is the smallest here with its 4,270mm X 1,780mm X 1,630mm (LXWXH). It has the shortest wheelbase of 2,590mm. The XUV500 follows the Harrier in length, width and wheelbase, but is taller. The figures - 4,585mm, 1,890mm, 2,740mm and 1785mm, respectively. Not much separates the Compass and Captur, both are larger than the Creta but smaller than the XUV. The Compass is 4,395mm long, 1,818mm wide, 1,640mm tall and has a 2,636mm wheelbase. 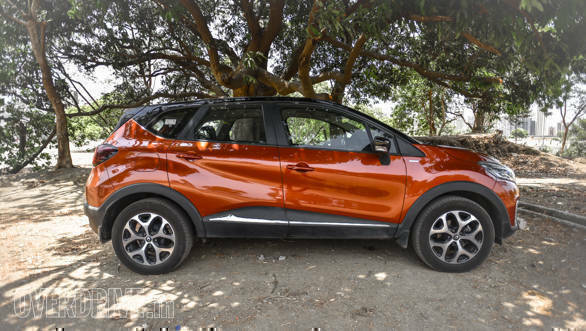 The Captur follows with its 4,329mm long, 1,813mm wide, 1,626mm tall but its wheelbase is greater than the Compass at 2,673mm. All the SUVs here offer five seats except the XUV500. The Mahindra is a seven-seater. 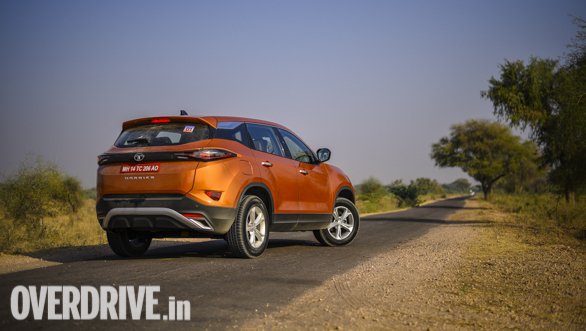 Moving to fuel capacity, the Harrier has a 50-litre tank like the Captur. 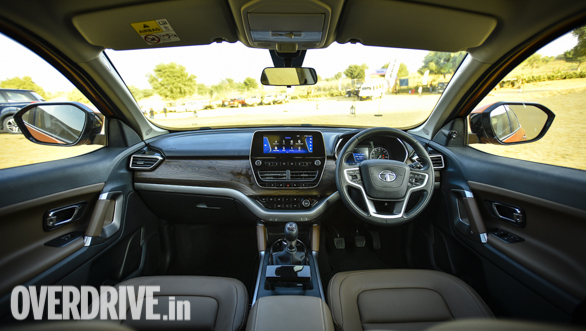 The XUV500 has the largest tank at 70 litres followed by the Compass' 60 and the Creta's 55.
Notable features on the Harrier are LED DRLs, HID xenon headlamps, cornering fog lamps, auto headlamps, rain-sensing wipers, leather upholstery, leather trimmed steering wheel, climate control, an 8.8 inch infotainment system with nine JBL speakers, a reversing camera, cruise control, keyless entry and go and an eight-way adjustable driver's seat. The Harrier gets a seven-inch digital display on the instrument cluster as well, a feature not available on other cars here. 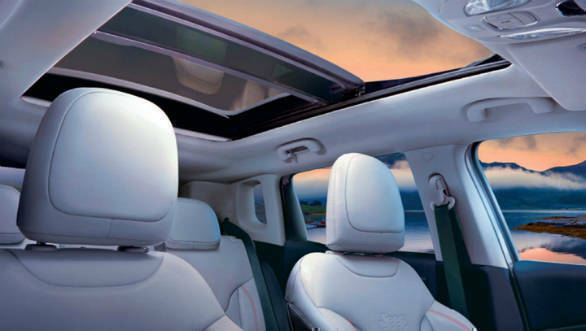 The Compass Limited Plus has almost all of these features too, but adds a dual-pane panoramic sunroof and loses cruise control. It has an eight-speaker set-up with an 8.4-inch touchscreen infotainment. The XUV500 gets six-way adjustable seats and a sunroof. An auto start-stop function has been added as well. But otherwise, its features are largely similar to the Harrier and Compass. A tyre pressure monitor is also available. The Creta also gets six-way adjustable seats and a sunroof but is missing auto wipers and lights. It has a six-speaker audio setup and a wireless charger. The Captur gets a smaller 7.0-inch infotainment screen without android Auto/Apple Carplay connectivity but adds rain-sensing wipers, auto headlamps and full LED headlamps and foglamps. It misses out on a sunroof. The Creta and Captur do not get powered seats. 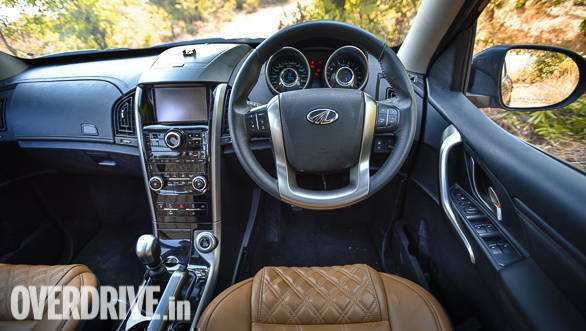 Except for the Compass and XUV which get 18-inch alloy wheels in this trim, the others all ride on 17 inchers. All cars here are available with ABS with EBD and ESP. 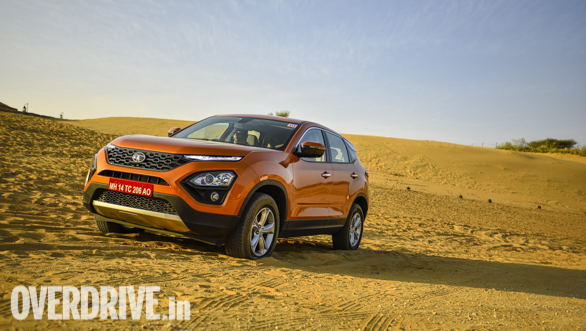 The Harrier, Creta, Compass and XUV 500 get airbags for the driver, passenger, side and curtain. The Captur misses the curtain airbags. The Harrier gets hill descent control and a hill hold function. The XUV 500 also has these while the Compass makes do with only a hill hold function like the Creta and Captur. The Tata and Jeep also get a traction control system. The Harrier is equipped with rollover mitigation, a cornering stability function as well as brake disc wiping. The Harrier, Captur and Creta only get disc brakes at the front. The XUV500 and Compass have discs at all ends. The Tata Harrier's pricing is very aggressive, it starts at Rs 12.69 and goes up to Rs 16.25 lakh, ex-showroom for the top XZ trim. The Jeep Compass Limited Plus 4x4 is the priciest car here at Rs 22.85 lakh. The Captur Platine is the most affordable at Rs 14.06 lakh. Slotting in between are the XUV500 W11(O) AT at Rs 19.05 lakh and the Hyundai Creta at Rs 15.01 lakh.